Once you have gone through the checkout and click on 'proceed to payment' you will be taken to the secure payment page where you have the option to pay by either PayPal or Credit Card. 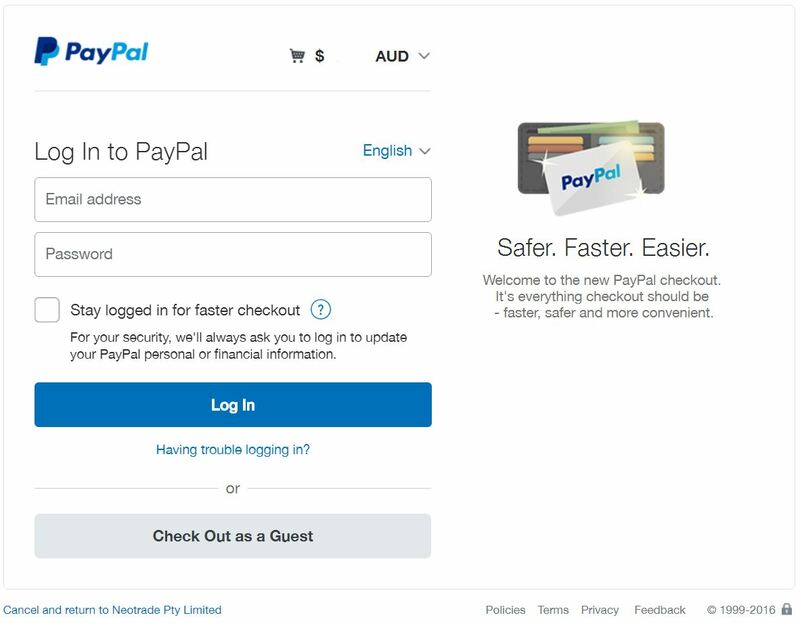 You can either log into your PayPal account to pay by PayPal or just below the log in you can 'checkout as a Guest' which will take you to another secure payment screen where you can enter your credit card details. Once you have made the payment you will be taken back to the GoodDrop website where you will be advised the order has been completed and you will be provided with an order number. 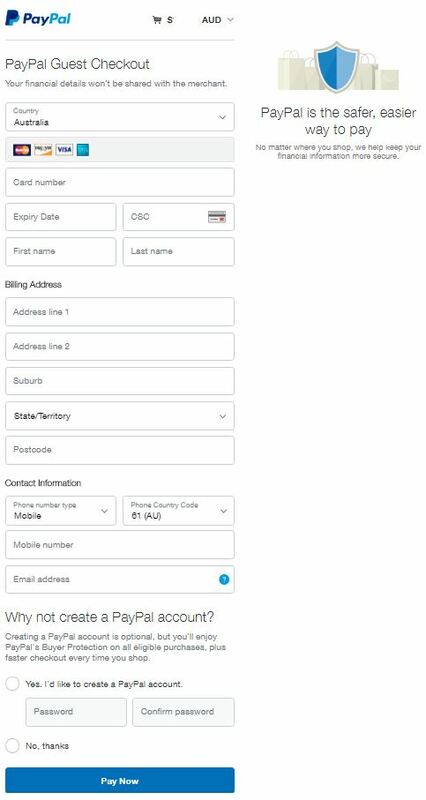 If you decide prior to completing the payment that you wish to amend your order or shipping details, at any time you can go back to the checkout page by clicking on 'Cancel and return to Neotrade Pty Limited' located in blue text located underneath the payment details.